Wiinners Joyce and Anne of the Australia Wide Restricted Pairs. They were 4th overall Australia Wide. Well done. Welcome address from President at 2018 Christmas Party. Dual Winners of the Most Improved Trophy 2018 as decided by the Tournmament Committee - Judith Sterett and Jim Willets, presented by Colette Nalder. MP for Bateman Dean Nalder chatting to members. Lucky Hamper winners presented by Mayor Russell Aubery! President of SPBC Jan Howell and Garth Scotford enjoying Melville's party and bridge. Bridge rules after a great lunch. Support our sponsor for your Insurance needs. Special rates for members. Support our Sponsor for your Physio and Pilates needs. Miriam Winter celerating her 98th Birthday at the Club. A devoted members still playing great bridge. The Club looks forward to celebrating your centenary!! For the 2nd year running Merwyn Menezes won the Most Masterpoints for 2016. Congratulations. Honorable Dean Nalder MLA welcoming Members at our Christmas Party. Making Merry at Club Christmas Party 4th Dec. 2016. Most Improved pair for 2016 was selected to be awarded to Terri & Rob Antrobus. Congratulations to them. Fremantle President Chris and his lovely wife Pat joined us in the merrymaking. South Perth Bridge Club President Dave & Lorelei Munro enjoying the festivities. Caroling led by our stalwart entertainer Patsy McDonald ably assisted by Errol Jacob on guitar. 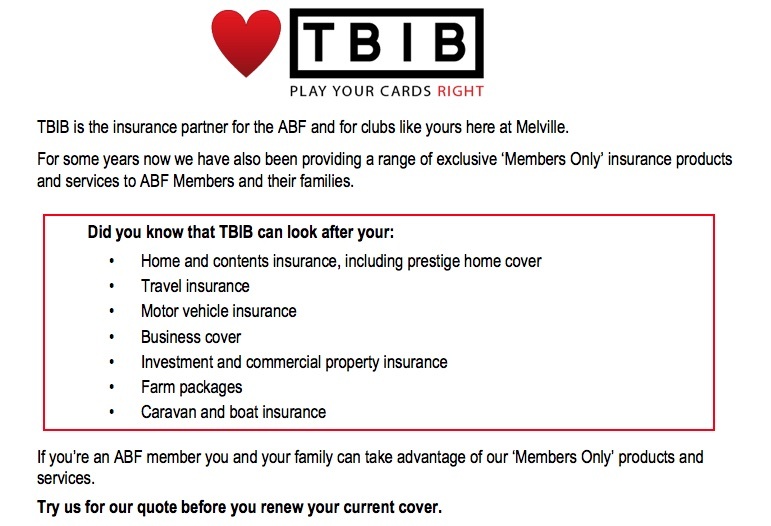 Happy Members are the cornerstone of Melville Bridge Club!